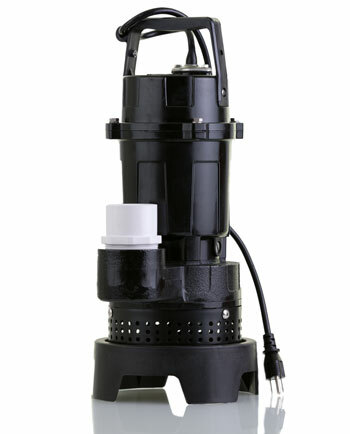 Yes, We Handle Commercial Sump Pumps! A sump pump prevents moisture from accumulating in basements and in the water table beneath a building. Finding friendly, expert professional sump pump service is an important part of protecting the value of many commercial properties. Sump pumps are the last line of defense that homes and businesses have against flooding. They pump water out of basements and cellars as it accumulates in a sump pit, ensuring that other below-ground areas remain dry and accessible. Commercial pumps are used in hospitals, hotels, schools and other large buildings. Many buildings have specialty sumps for elevators. Simpson Plumbing has the know-how to service all varieties of pump, ensuring that your property is protected from flooding at all times. Pumps are typically installed at the lowest point in the building, and we are happy to provide installation and placement services for new pumps as well as maintenance on old ones. Once installed, the pump triggers automatically through the use of a float switch, allowing it to pump out water whenever it reaches a predetermined level in the pit. During installation, technicians will use the size and placement of the sump pit and the pump’s mechanical specifications to set the optimum trigger point for the float switch. No matter what kind of sump system your property operates, regular testing will keep it running at full efficiency. Since sumps are typically needed on short notice to deal with large-scale weather events, this is a vital step toward full property protection. Sometimes, even the best-maintained pumps develop problems because of the pressure put on them during especially wet seasons. Having a plan for quick replacement is key to making sure that there are no lapses long enough to cause problems. One aspect of this plan might include a battery back-up or even a battery-powered pump. These are not only easy to use to bridge the gap when conventional pumps go offline, they also give you coverage during power outages. If your property is in an area that is prone to losing power, a backup pump with a battery supply is the only way to guarantee your sump works under all circumstances. When you need commercial sump pump maintenance or installation, give us a call. At Simpson Plumbing in Vancouver, WA, we are ready to tackle your flood prevention needs.